The face of America is getting older. According to the U.S. Census bureau, in today’s populous there are 5 people under the age of 65 for every 1 individual over 65. However, by the year 2030, this number is projected to decrease to only 3 people, leaving a potential strain on the elder care system and the ability of family members to care for their elderly loved ones. According to a recent article published online by the Huffington Post, there is a real possibility of there being a shortage of geriatric care providers by the year 2050, potentially leaving family members in a difficult position as they are left to care for senior family members themselves if they are unable to find a home care agency willing to take on their loved one as a new client. With this in mind, now is the time for the in-home care industry to prepare for the growing demand for elder care. Currently, the private duty care industry is experiencing rapid expansion. However, managing new agencies and a growing client load requires efficient processes – and the ability to grow business with ease. One tool to help foster these processes is home care software and home care systems. Home care software and home care systems go beyond providing a data base to track client name and phone number. Robust home care systems, such as ClearCare, are fully functional business management tools that assist in the management of caregiver and client files, tracking of care logs, management of referral sources and automation of time tracking for billing and payroll. With so many tasks simply managed in one spot via the use of home care software and home care systems like ClearCare, forward thinking agencies can position themselves to be prepared to stand the test of time while simultaneously managing growth in a manner that focuses on quality care. 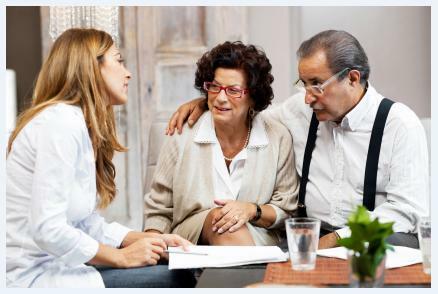 There is no doubt that Americans are getting older, however, planning on the part of aging Americans and elder care providers can help ensure that we are ready together to meet the needs of our seniors. If citizens plan for the costs of elder care, and talk to their families about their desires for their golden years, and if elder care agencies prepare to provide quality service to a growing industry segment with the help of home care software and home care systems, such as ClearCare, together we can help make sure that the golden years are happy years for Americans now – and in the future.